From an original song that rings with lilting plucked guitar and an epic-yet-cute feel as it mutates from a toy-like sound into one with force and drama, we have a remix. 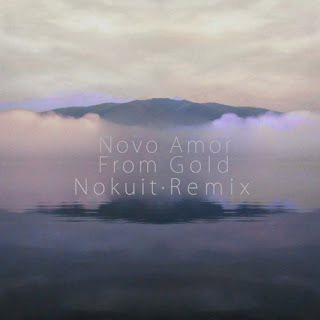 Yes, the original 'From Gold' by Novo Amor (real name Ali Lacey, from Cardiff, UK) is a folksy number, but this remix by newcomer Nokuit – a somewhat veiled producer from who-knows-where – is a much more electronic affair, turning an organic and earthy vibe into one of unearthly artificiality. Utilising vocals from the original, the track moves along at a slow pace – it bristles with thickets of percussion, clattering and crashing, smacking and fizzing with an itchy determination, skiffling with glitch sensibility. This essentially broken beat pulses with syncopated kicks, nicely understated below the creeping flora of noises. Golden thread glistening of noise are just audible in the background; guitar sounds echoing seemingly within their own selves twang delectably as richer synth sound rumbles up from the deep. Nothing is overstated here in this chilled soundscape. For me, the main feature is the beat. The beat the beat the beat, prickling your ears in a wholly satisfying way. But um this is basically a very good example of ambient music as much as it is a complete indulgence in the powers of glitch. It keeps to itself, glows with delicate energy, seeps slowly into your skin like sunlight, all the time swaying and slow, yet is harsh and busy and irregularly ticking. A great mix. 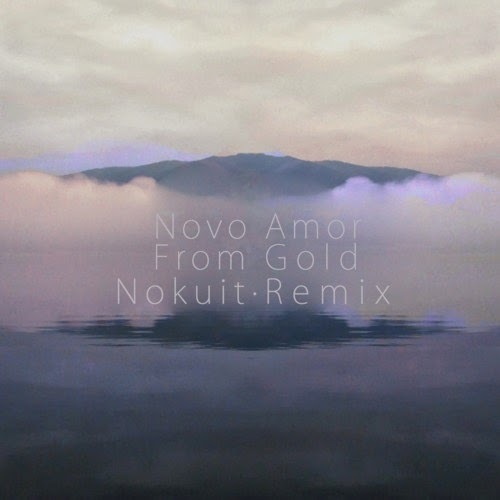 I am told by Nokuit that this remix (also a FREE DOWNLOAD!) – the only track uploaded so far – marks the start of their project, their foray into the music world, and I personally happen to think that this is a very good start indeed.